Meeting with some local students, I suggested we pop by Assembly, a coffee spot located on Evans Road near the Botanic Gardens. 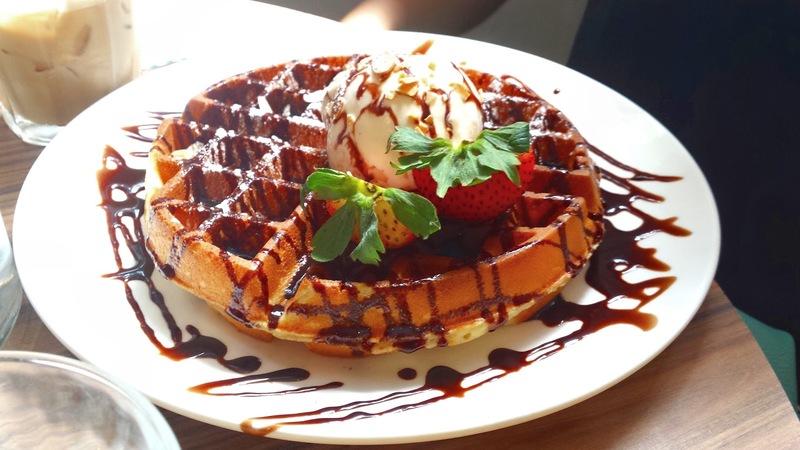 This charming little cafe is a bit off of the beaten path for brunchers in Singapore, but well worth the visit, with the best coffee and waffle combination that I've had in Singapore. And now we know. 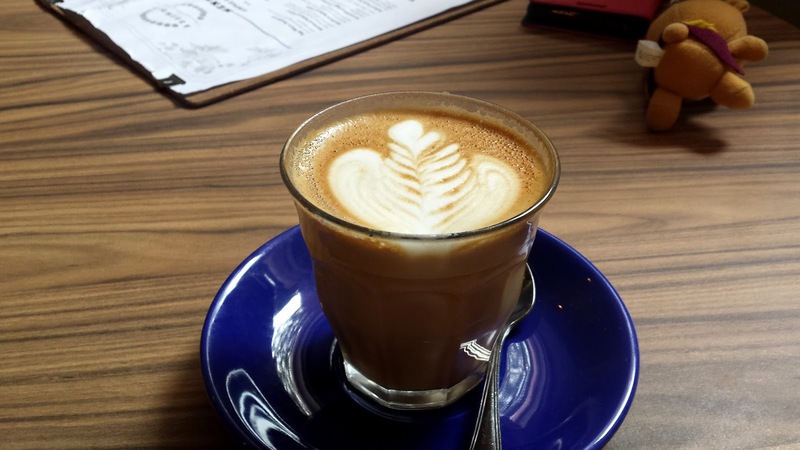 This third movement is responsible for introducing the general public into the finer details of coffee making, from the beans to the final brew. I chose the latte, which had a full, fresh flavor with just a hint of bitterness, a balance that I rather enjoy. 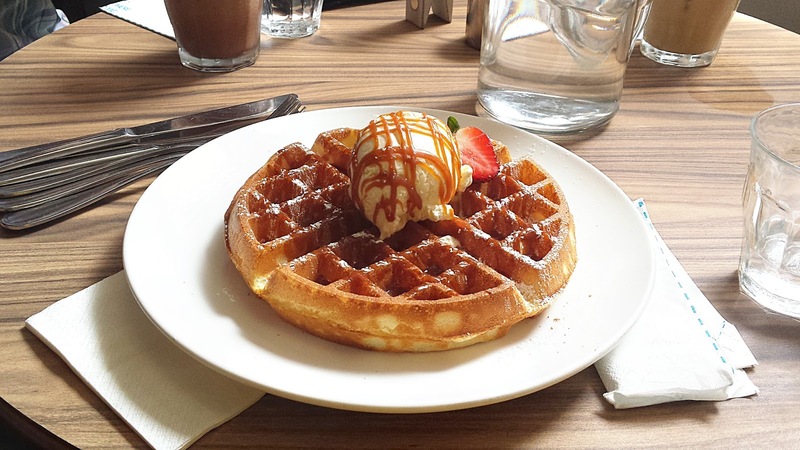 Foodwise, the choice was clear - waffles. I got the earl grey caramel waffle, while one of my kakis got the chocolate strawberry variety. The earl gray caramel was my winner, with a crispy-on-the-outside, fluffy-on-the-inside waffle with a sweet (but not too sweet) caramel sauce on top. The chocolate strawberry was more of a dessert than anything else. I loved this place. They had one of the friendliest staffs that I've encountered, and the coffee was excellent. 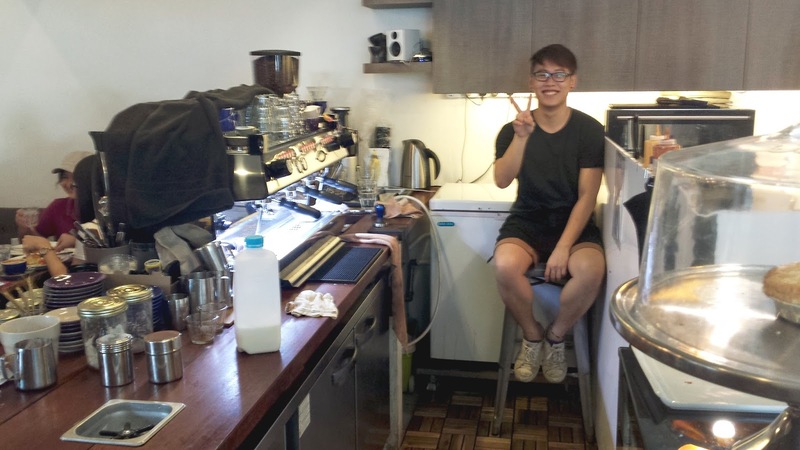 They even use local roasters for their beans - another example of their commitment to the third wave coffee movement in Singapore. My only drawback concerns the seating, which was rather tight and made it difficult to walk about without knocking into other patrons. Finding seating during the weekends is also tricky, as we went on Saturday during lunchtime. 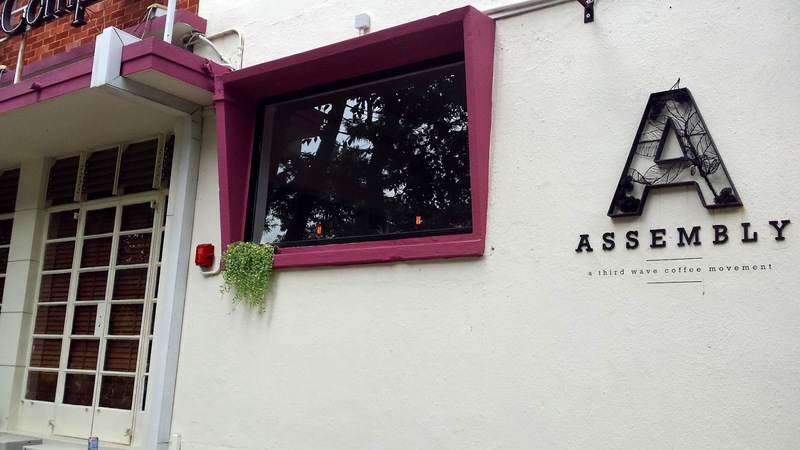 If you ever need a place to grab a drink after admiring the Botanic Gardens, be sure to stop by Assembly, just a few minutes walk away.